Hello! I am up on the Jaded Blossom Blog today. I used Jaded Blossom Dies and the Santa from Holly Jolly Christmas. 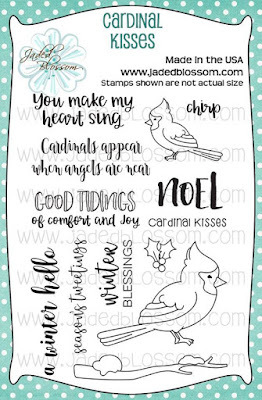 Today is the last day this set is on sale, so adorable for Christmas Cards. 🎅 Santa is colored with Copic Markers. 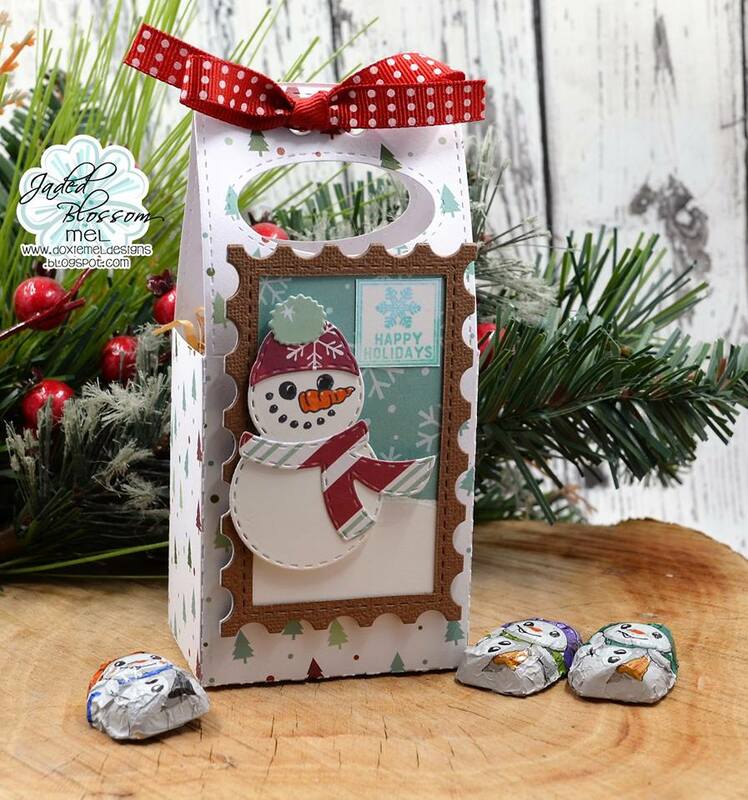 The sentiment is from Winter Wishes and is placed on the Mini Tag Die 2 banner. The background is stamped with Vera Mark ink and Holiday Splatters, I love the stylized snow fall. Thanks for visiting my Santa Card today.. Ho Ho Ho. Hello! Today I am up on the SVG Cutting Files Blog with a sneak peek of a new card that will be at the store this Friday! Meet the Peeker Penguin Card. The card is a shaped card that is sized to be an A2 but you can size to your needs. I embossed the cuff on his hat. The patter paper on the front was "fussy" cut to select words that were not chopped in half. The paper is from Craft Smith's Merry Everything Collection. I made a card and frame with the NEW Postage Dies and Postcard stamps. First is my card, the base layer and stamp are cut with the New Postage Stamp Dies. For my next project I used the NEW Postage Dies to create a frame for the front of the Jaded Blossom Gable Box. I took a craft knife and cut the center of the frame out. I used the full Postage Die to cut the background layer. The snow bank was also cut with the Postage Die and then I tore it to fit the base of the scene. Hello! Today I am up on the SVG Cutting Files' Cut Club Blog. I used the November 2017 card sketch to make this card. The Pilgrim Kitty is so cute for Thanksgiving. The sentiment for the card is from Jaded Blossom's Harvest Signs stamp set. The pattern paper is from Craft Smith's Happy Fall Collection. 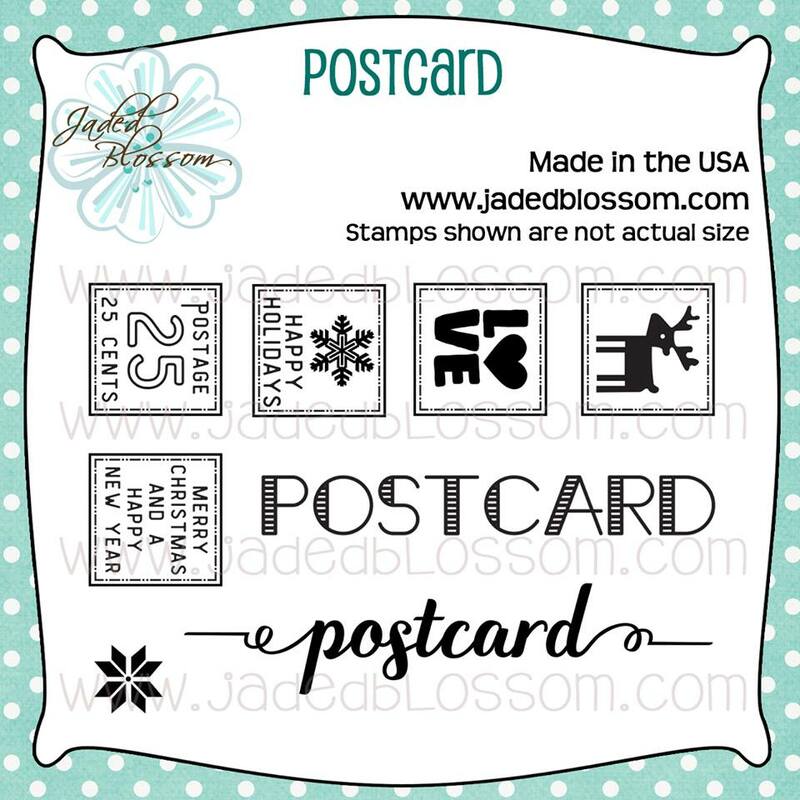 sentiment stamp - Jaded Blossom Harvest Signs. Hello! I am posting over at the Stamp Anniething Blog today. I colored Melanie with Copic Markers inspired by this lovely plaid paper from Echo Park. (I can play along at Stamp Annithing's "Mad about Plaid" Challenge too!) The sentiment is from Jaded Blossom's Fuzzy Mittens Stamp Set. Hello! Mel from Doxie Mel Designs with a new card idea. I did not get to color up the adorable Narwhal from our November Release. He is darling and I wanted to make a special project for him. I found a frame at the Silhouette Design Store and added some shell dies from Jaded Blossom's Tropical Dies. Mr. Narwhal is colored with Copic Markers- B24, B21, B45. R20, R22, Y23, Y26. Here is a closer look at Mr. Narwhal. 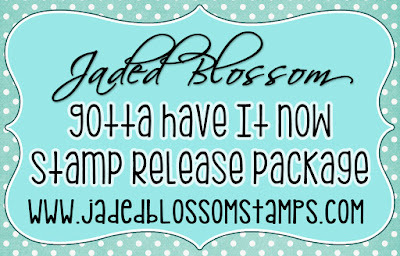 Jaded Blossom's November 2017 Release Blog Hop. Now if you're here from Candi O Designs you're in the right place, if you're just passing through start at the beginning because you don't want to miss a thing. I also have the complete line up at the bottom. Here is what I made: A Very Yeti Christmas Advent Calendar. I just loved the Yeti from Jaded Blossom's November Release.. he is the star of my Advent Calendar. I do believe I have the same look on my face when put the lights on the Christmas Tree. The scene created for Yeti was cut on my Cricut Explore. 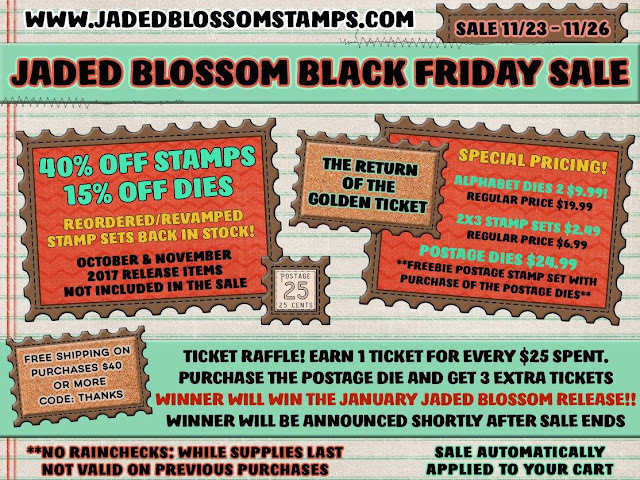 The box fronts are decorated with Jaded Blossom Banner Dies. Here is a closer look at Yeti's stage. The packages have my hunky hubby and children's names on them. Here is a peek at one of the drawers.. perfect for three candy kisses. 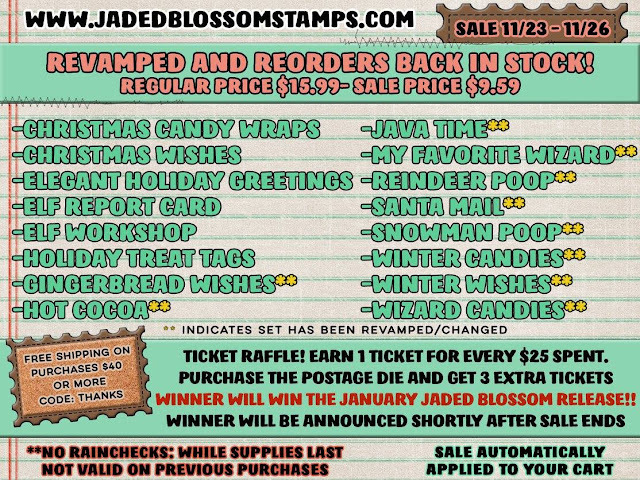 Welcome to Jaded Blossom's November Sneak Peek. We are showcasing another stamp set and the freebie die. Here is a closer look at the stamp set and die. 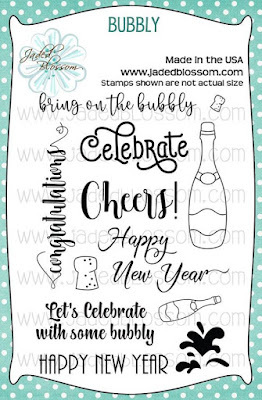 Here is what I made with a sentiment from the new "Bubbly" stamp set. I found this girl enjoying her bubble bath at Cricut. Thanks for looking at my project today. 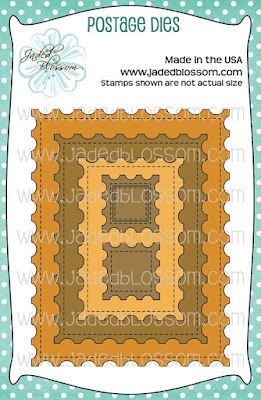 Head on over to Jaded Blossom to see more projects created with the new stamp set and die. 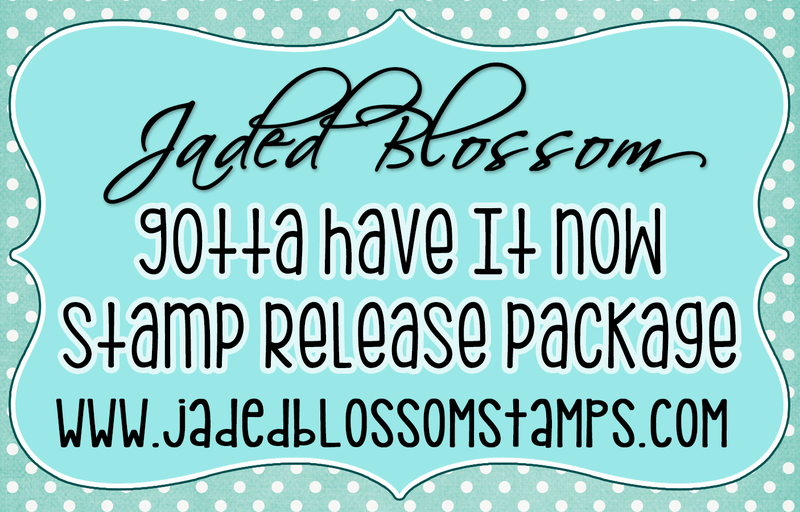 Join us today at 4 pm PST for the Jaded Blossom Release Day Blog Hop. Welcome to Jaded Blossom's November Sneak Peeks Day Four. Today we have two new stamp sets. I made a card with the lovely Cardinal from Cardinal Kisses. I paper pieced the bird and added a little red Copic Markers to shade under his wings. He is resting on a branch from the newest banner die collection, Winter Banner Dies. Here is a closer look at the stamps we are previewing today. Thanks for checking out my card today. 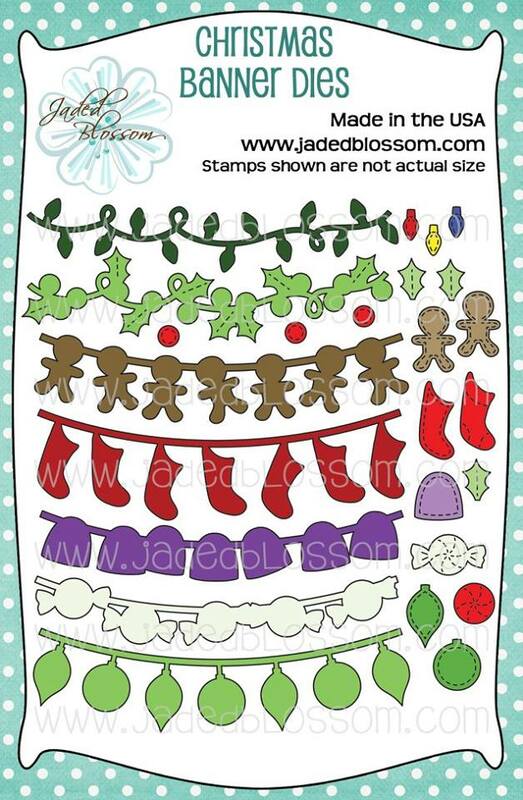 Be sure to stop by Jaded Blossom to see the gorgeous projects created with the newest stamp sets. Hello! Welcome to day three of Jaded Blossom's November Sneak Peeks. 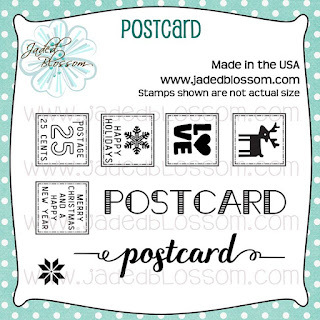 Today we have two new stamp sets, Winter Signs and Snowflakes. I made a project featuring Winter Signs. The sentiments fit perfectly on the wooden sign post. The darling little bird stamp was stamped at the top of the sign. First I stamped the bird. Then I stamped the bird on a post it note and fussy cut the bird to use as a mask. Next I stamped the sign post over the bird. When you remove the mask, it looks like the bird and sign post are one complete stamp. 😊 I used my Cricut Explore to cut out Rudolph.. he looks so happy to visit his birdie friend. Here is a closer look at the cute sign post. I added a little chunky glitter on the snow. Be sure to stop by Jaded Blossom and see what the design team has created for you today! Hello! 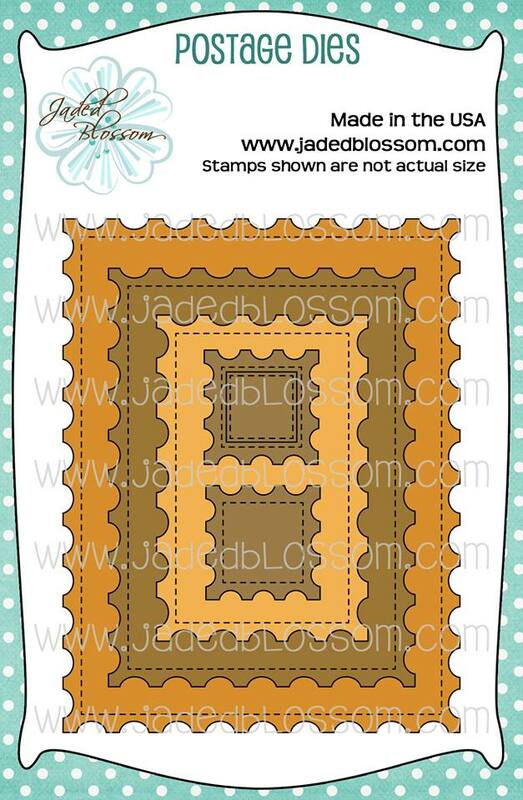 Welcome to Jaded Blossom November Sneak Peeks. Today we are previewing two new stamp sets, Hello Mr. Narwhal and Yeti to Party. I made a treat topper with the adorable Yeti to Party stamp set. I took the Rectangle Die and folded it in half to make a topper base. Then layered another rectangle die shape to complete the base for the Yeti. Here is a closer look at the Yeti. He is colored with Copic Markers, BG family. Today is also my post over at SVG Cutting Files Cut Club. For this page I used Page Sketch 41 from the new November Bundle. I added Sunflower Cindy in place of the sunflower trio. The mini sunflower dies are from Jaded Blossom's Fall Banner Dies. Pattern paper is from Echo Park's So Happy Collection. Tags behind the photos are from Recollections Farmers Market. Here is a closer look at the paper pieced sunflower girl. Her bows are Jaded Blossom's Bow Dies and Face is from Peachy Keen Stamps, In the Garden Face Assortment. Stop by Jaded Blossom to see what the rest of the designers have made for yout today! Hello! Today starts the previews of Jaded Blossom's November Release. We are showcasing the Winter Banner Dies today. I used the snowman and two icicle banners on my project today. Here is a closer look at the snowmen. To make their noses, I cut orange hats and clipped the brim edges. Stamp Anniething's November Release Day! This release is ALL ABOUT Travel!!! 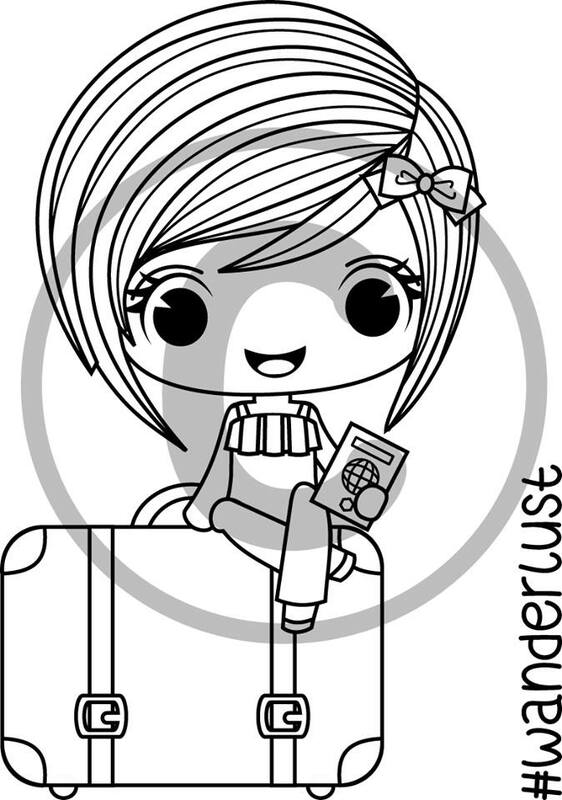 Today we are showcasing the sweet Rae Wanderlust stamp. Rae is available in the store Today along with the other 2 stamps we showed you this week!! Here is my sample with Rae. I colored up Rae with Copic Markers. Her luggage is paper pieced with Craft Smith's Seaglass paper. The map background paper is also from the Seaglass paper collection. Thanks for visiting today. I hope you will stop by Stamp Anniething's Blog and see what the rest of the design team has created with the new November Release. All the new stamps are available for purchase today! 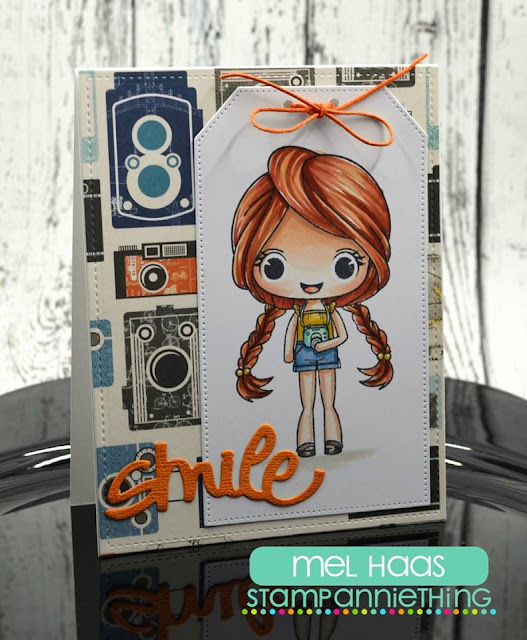 Stamp Anniething's November Sneak Peek Day Two :: Smile! 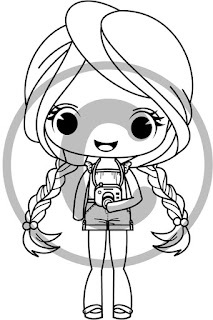 Here is the new Brooke stamp ready to document her travels with her camera. 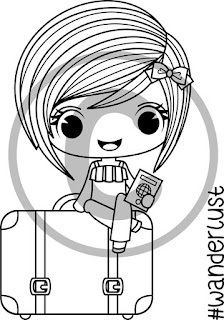 Brooke will be available in the store Friday along with the other 2 stamps we show you this week!! I love coloring up Brooke with the sweep of her hair and braids. She is colored with Copic Markers. I created the card base for her with dies. Be sure to stop by Stamp Anniething to see more samples created with this darling stamp. Join us tomorrow for our November Release Day! Today we are previewing a new Felicity stamp. 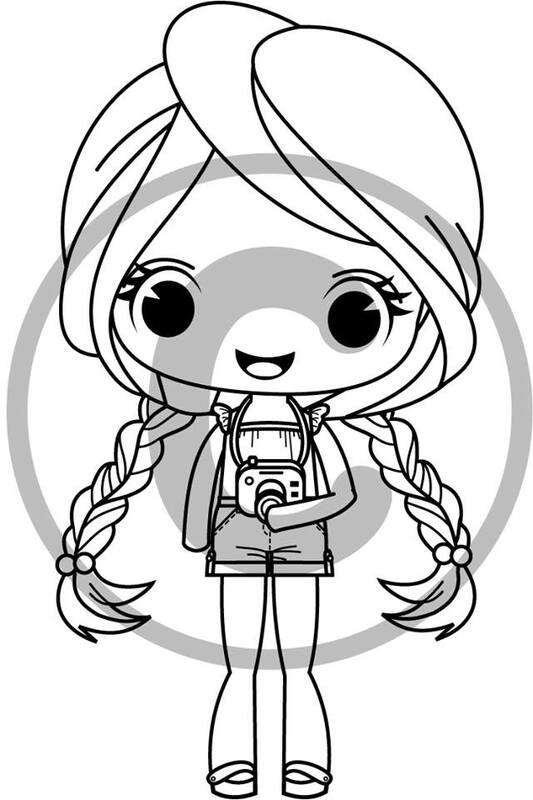 Felicity will be available in the store Friday along with the other 2 stamps we show you this week!! Here is my card featuring the newest Felicity stamp. I colored her with Copic Markers. To go along with the travel theme the panel that I stamped her on is a luggage shaped tag. The color palette is inspired by the background papers from Authentique - Explore. Be sure to visit Stamp Anniething's Blog today to see more cards created with this adorable stamp. Join us tomorrow for another sneak peek!